Earlier this year, Search Engine Journal reported that the mobile market will generate an estimated $261 billion more in 2015 than it did in 2012. This is no surprise, considering that the average American now spends two hours a day on a mobile device. It’s an undisputed fact that mobile optimization is a critical component of SEO, and Internet marketers are hungry for the latest tactics concerning mobile optimization. Later this month, you’ll find marketers gathered at Search Marketing Expo (SMX) East 2014, and one of the must-attend sessions of the conference is “What SEOs Should Be Doing With Mobile” (Oct. 1 at 9 a.m.), featuring SEO VIPs Jim Yu, Cindy Krum, Michael Martin and Gary Illyes. Here’s a sneak preview of those mobile SEO insights as Yu, founder and CEO of BrightEdge, joins us for the second installment of our SMX East 2014 Speaker Series. Yu has made a name for himself in SEO, marketing and software development. 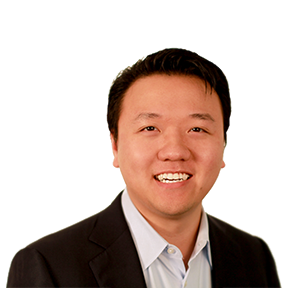 Prior to founding BrightEdge, Yu led teams at Salesforce and IBM. He’s an in-demand speaker, sharing his knowledge at conferences around the globe. Today, he’s sharing them right here in an exclusive interview for the Bruce Clay, Inc. Blog. BCI: BrightEdge just hosted its own conference called Share14. You focused on content, measurement and mobile optimization. How do these three cornerstones translate to your SMX East presentation? JY: Thank you for giving me the opportunity to talk with you today. I am really looking forward to my session at SMX East this year and sharing further insights into how marketers can optimize for mobile. As you mentioned, the theme this year at BrightEdge Share14 was content, measurement and optimization. Content marketing has developed to become the catalyst that has fueled the convergence of search, social and digital marketing disciplines. In parallel, mobile growth and adoption has skyrocketed to become one of the fastest-growing channels for driving revenue through consumer engagement. In order for marketers to maximize their return on investment in mobile they must understand, measure and optimize their mobile search strategies. Mobile was a key talking point at Share14. You can watch my keynote address at Share14 and other highlights here. Can you share some tips on content creation for the mobile user? What content works and what doesn’t? What works and what does not work … That’s a great question. BrightEdge data tells us that mobile is outpacing desktop by 10 and, because of this massive shift, marketers have had to recalibrate their mobile strategies. People now consume media across multiple mobile device types and hence each device type requires a different approach. The important thing to remember about mobile is that all mobile content is not created equally; what works and reads well on one device type (for example, mobile vs. tablet) may not work on another. The key to the success of mobile content lies in understanding the customer experience and serving content that serves a purpose and has meaning and value for the user. For this reason “mobile” can mean video and “mobile” can mean social. YouTube (who presented at Share14 on content, social and mobile) is the third largest search engine in the world and serves as a great example. How can marketers best benchmark and measure for mobile? Do you have any dos and don’ts for measuring mobile? Do: Utilize all mobile data at your disposal. Track, measure and optimize/optimize and measure. Your ultimate goal as a marketer is to measure conversion and ROI, and in order to do it, it’s vital to track the changing SERP (blended rank and mobile rank). Ensure that you measure mobile and local landing pages and build solid mobile campaign reporting dashboards. Don’t: Take your eye off the SERP. Do not take a one-size-fits-all approach to mobile measurement. Conversions vary dramatically via device type, content type, location and industry! Do: Keep on adding and testing content types and measuring the corresponding, multiple, mobile tracking variables. As we head into 2015, what are some trends in mobile optimization that marketers need to know about? What optimization strategies should we leave behind? As I mentioned earlier, leave behind the one-size-fits-all mobile approach. On average, 62 percent of organic searches show different results depending on whether the search was performed on a desktop or smartphone, according to BrightEdge research. Further BrightEdge research found that on average, 27 percent of websites were misconfigured for smartphone searches, which resulted in an average 68 percent loss of smartphone traffic to those websites. If these mobile sites were to regain the full potential of their traffic, it would equal a 212 percent jump from what they currently experience. As you can see, the mobile optimization opportunity is still massive! In 2015 keep an eye out for new developments with regard to mobile app optimization and the integration of mobile and wearable technology. Can you share your top recommendations for further reading on SEO-for-mobile matters? Want more of the SMX East 2014 Speaker Series? Check out our interview with Jason White, director of SEO at DragonSearch — his rousing interview laid the groundwork for “stupid successful” keyword research and link development. The SMX East 2014 Speaker Series continues all this month. Follow Bruce Clay, Inc. and Kristi Kellogg on Twitter and be the first to know when the next interview is up. We have Joanna Lord, Cindy Krum, Rhea Drysdale and our own Bruce Clay on deck.